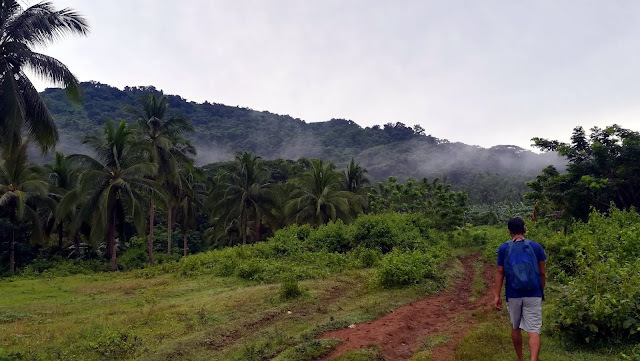 Located within the Maragondon Range in the same locale as Mt. 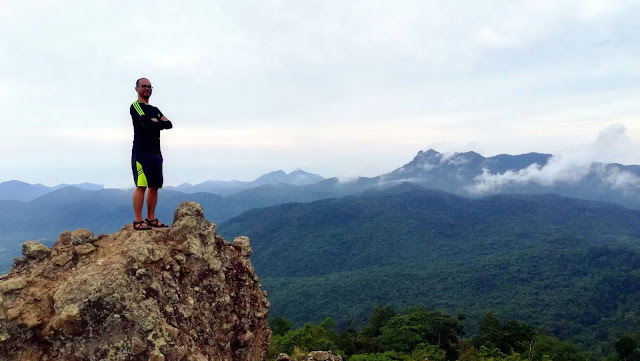 Pico de Loro, Mt. Marami is another favorite destination for hikers and mountaineers in the province of Cavite. True to its name, Mt. 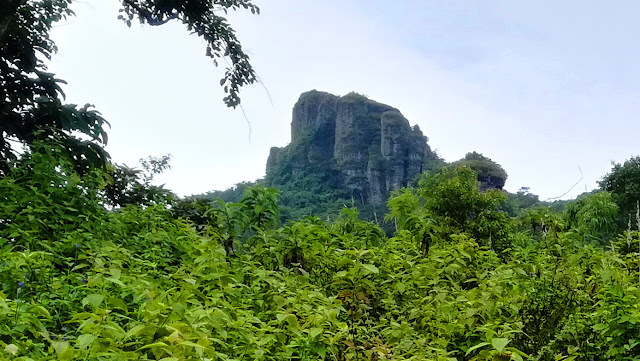 Marami's sheer rock cliff face is composed of many towering rocky pillars pushing out of the earth skyward, giving it such a majestic appearance even from a distance. A true test of stamina and willpower, the trails towards the summit of Mt. 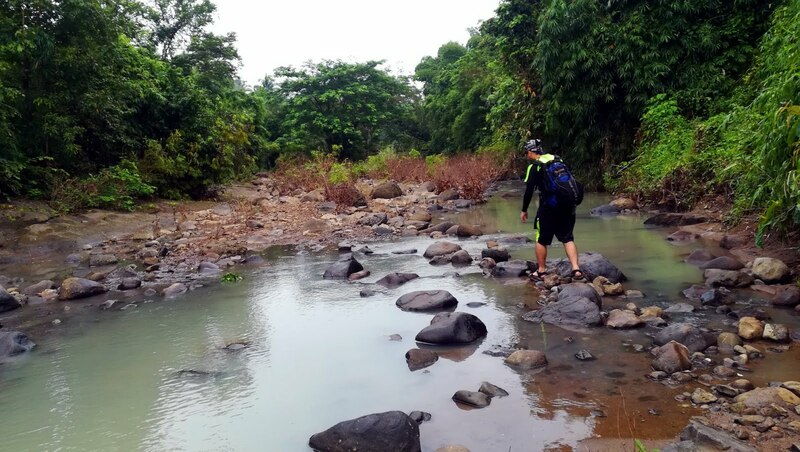 Marami takes about 4-6 hours of hike, with several river crossings through forested and open areas vulnerable to the elements. 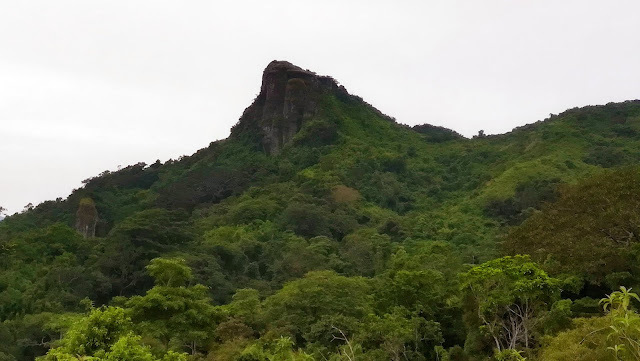 Weather plays a great role in hiking to the summit - the rainy season provides relief from the scorching sun but can slow hikers down due to the extremely muddy trail while the summer season dries out these muddy patches yet exposes hikers to extreme heat. Arriving at around 7:30 AM at the jump-off, I registered at the Barangay Hall. 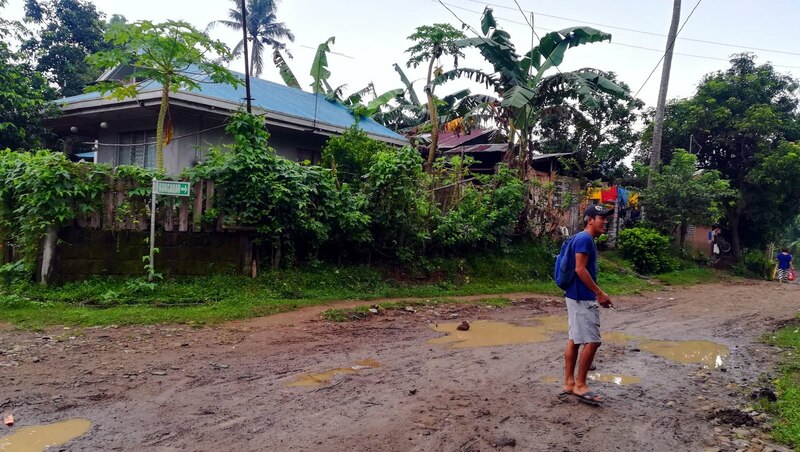 Together with my guide, we left Brgy. Ramirez around 7:45 AM. As noted from other blogs, the initial part of the trail towards the summit of Mt. Marami is quite easy and beginner-friendly. The trail is characterized by a combination of short ascents and descents and paths in flat grounds. The trail passes through several plantations and open spaces and a few areas covered mostly in second-growth forests. Around 20 minutes from the jump-off is the first of the river crossings through the Kayrayag River. After the river crossing at Kayrayag River, the trail remains fairly consistent - a few ascents and descents through a very muddy trail, with several portions of the trail passing through grasslands and woodlands. 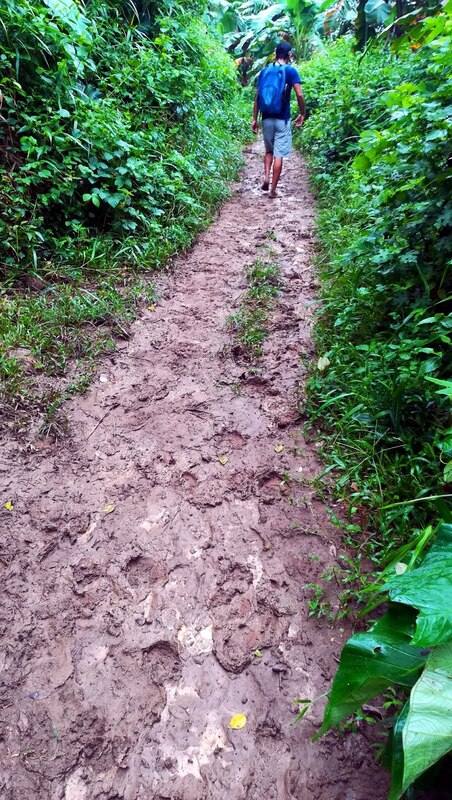 As it had rained the previous day, the trail was extremely muddy, full of watery potholes. At around an hour and 15 minutes into the trail we reached the chapel of the Nuestra Señora de la Paz. About 15-20 minutes away from the chapel is a local resident's hut where we rested for a while. They are offering fresh young coconuts here for just Php. 20.00 each. After a few minutes rest, we pushed on. 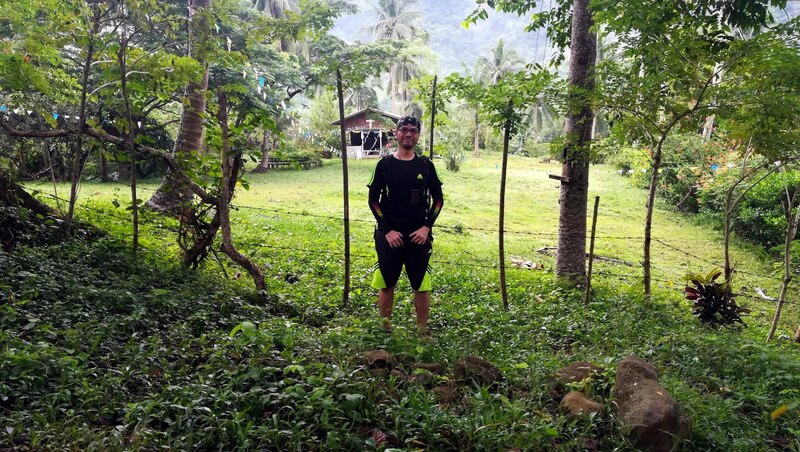 A few minutes from the stopover is where the Bangkaan River intersects the trail. 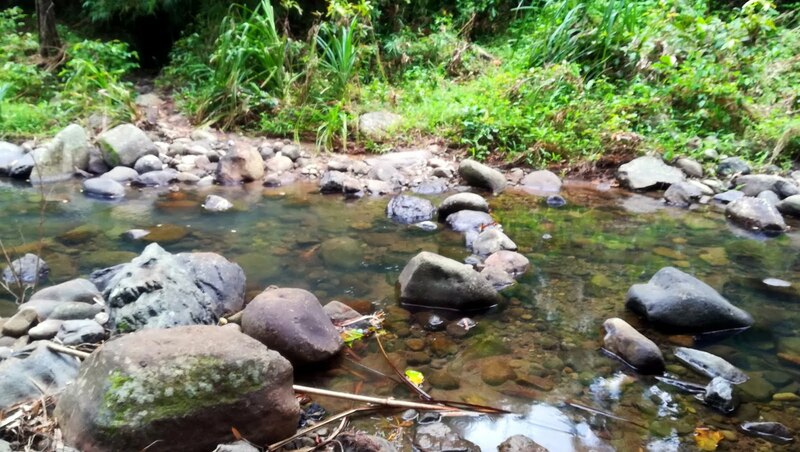 We had to cross this river three times. From here the trail starts to get steeper. The trail then passes through a forested section where the assault starts. This trail leads to the campsites at a flat ground near the summit. 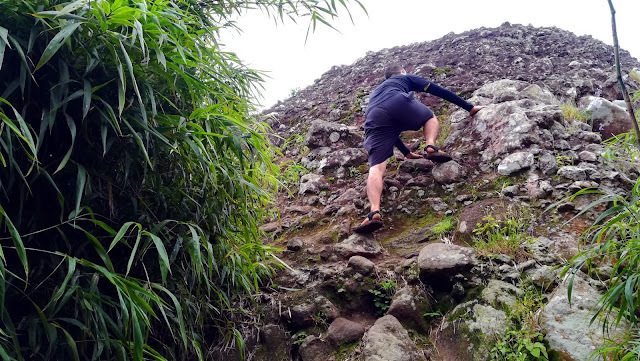 After around 20 to 30 minutes of continuous ascent through a steep slope the forested section gives way to a grassland with great views of the sheer cliff face of Mt. Marami. Campsites 1 and 2 are just a few minutes away. The trail also gets milder and the ascents are easier from this point on. We reached the summit of Mt. Marami at around 11:15 AM, around 3 hours and 30 minutes after the start of the hike. The summit offers a fantastic 360-degrees view of the surroundings. 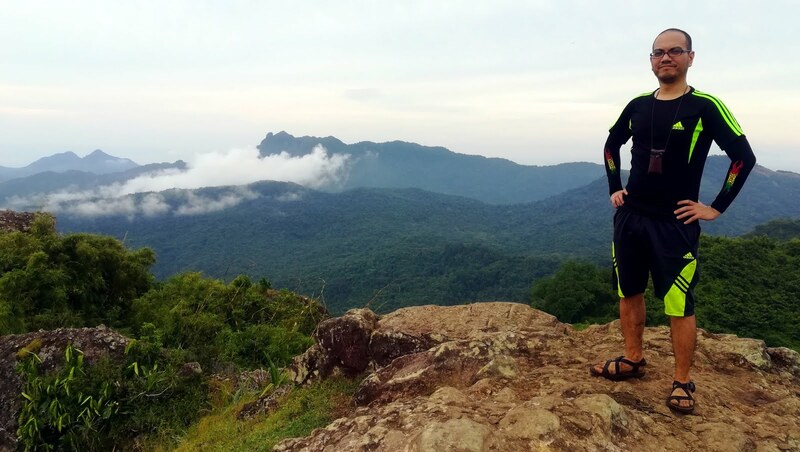 The mountains of Cavite and Batangas surrounds you in all directions with the peak of Mt. Pico de Loro prominent. The peaks of Mts. 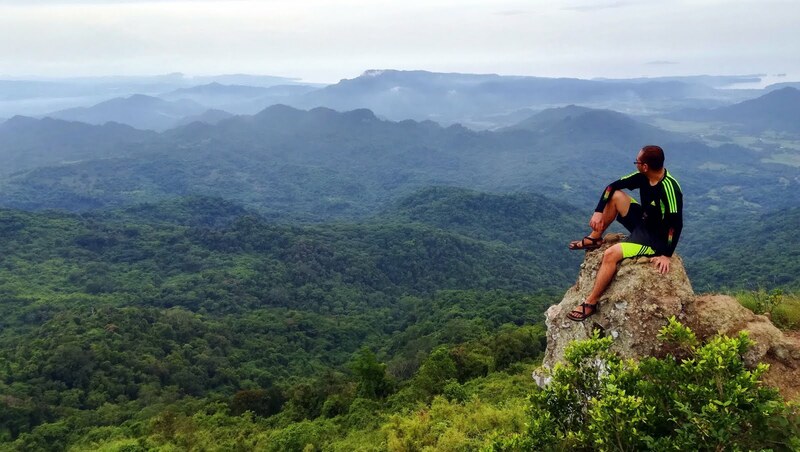 Talamitan, Apayang, Batulao and the more distant Mariveles Range can be seen from the summit. The highlight of the summit is, of course, the Silyang Bato rock formation. To reach the Silyang Bato, a few minutes of rock scrambling is required as well as a short hop to the other side through a short gap in the rocks. We took some time to snap a few photos before eating our packed lunch. Mind the gap in the rocks! We started the descent at around noon time, back trailing through the same trail. 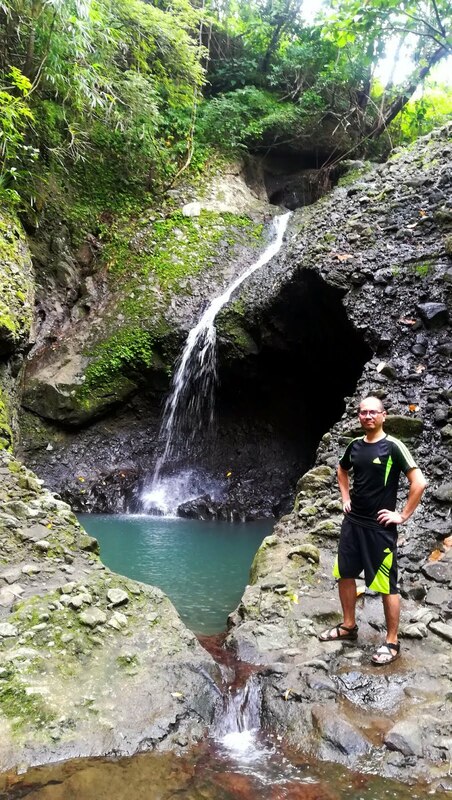 The next item on my itinerary is Oriit Falls, located off the trail just before the river crossing at Bangkaan River. We reached fork in the trail towards the falls after less than an hour from the summit and started the hike towards the falls. After around 30 minutes we reached Oriit Falls. 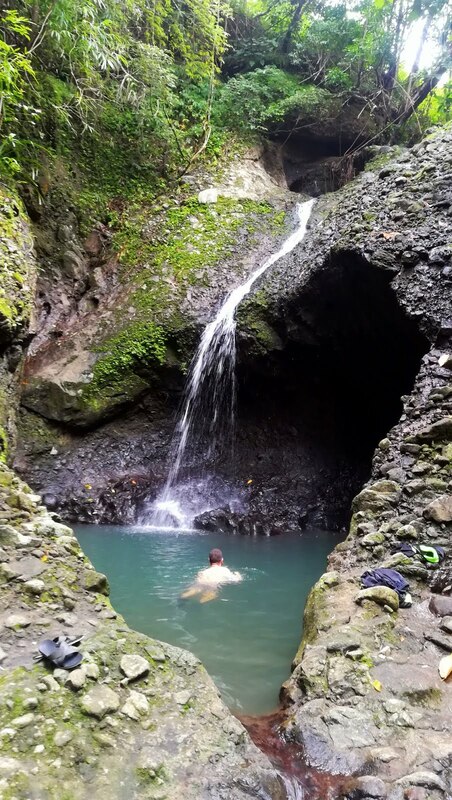 Around 10 meters in height, the catch basin is deep and the cascade is refreshingly cool and soothing, perfect for relaxing tired muscles after such an exhausting hike. 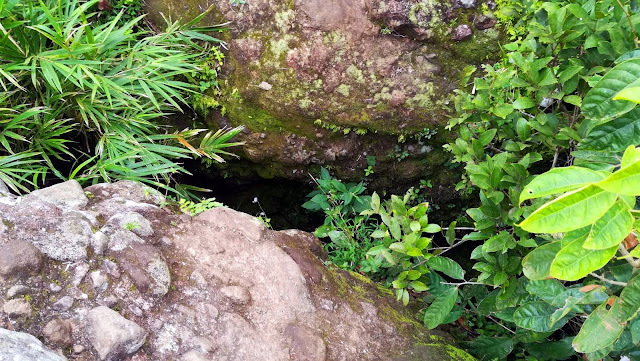 Interestingly, the cascade and the catch basin is surrounded by a rocky outcrop forming a small cave partially covering the catch basin, with a narrow outlet towards the end. 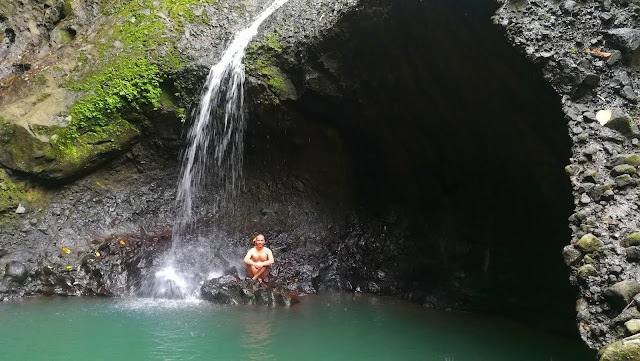 We spent almost an hour resting and cooling off in the falls before starting the hike back to Brgy. Ramirez, stopping along the way to sample the fresh young coconut offered in one of our earlier stopovers. After about 2 hours of walking the winding and labyrinthine trails of Mt. Marami, meeting other hikers on their way to summit for an overnight camping, and tramping through the same muddy pits along the way, we finally reached Brgy. Ramirez at around 4:35 PM, completing the dayhike. Mt. 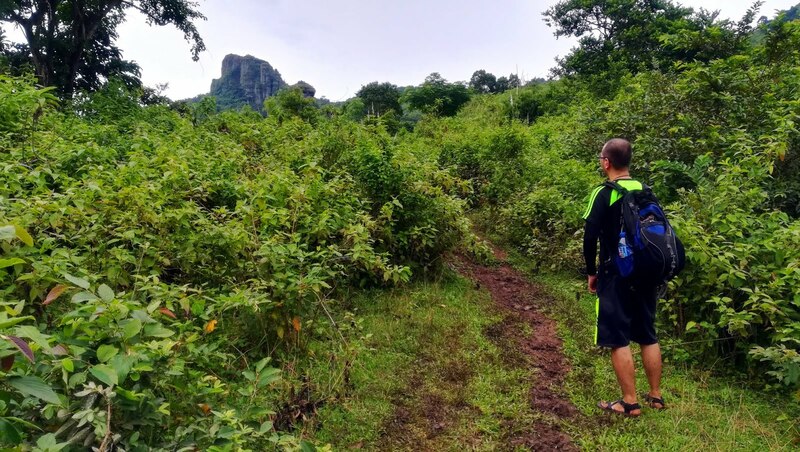 Marami with its maze-like, circuitous and winding trails, easy and challenging ascents and magnificent views, is a perfect training ground for major hikes and for overnight camping. Doing it as a dayhike is quite an exhausting feat but is extremely rewarding at the same time. 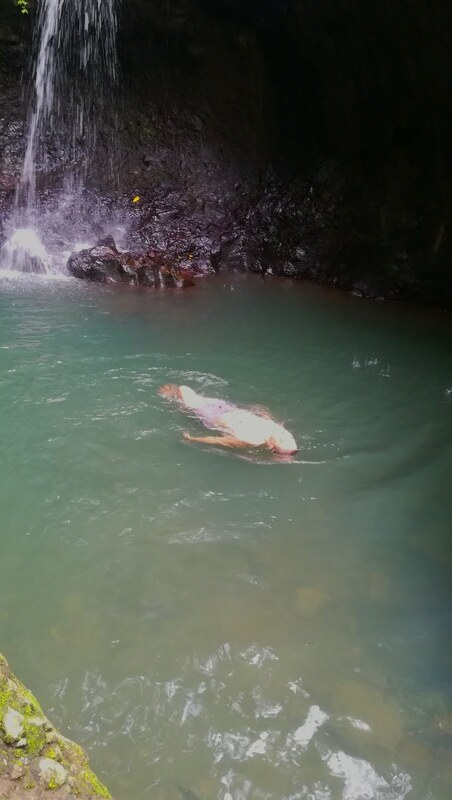 For guide services you may contact Marlon Mendoza at 09752129500. From Baclaran, ride a bus bound for Naic (Php. 66.00) and get off at Mcdonald's Naic. Ride a tricycle to Naic Grand Terminal (Php. 10.00) and ride a jeep bound to Magallanes (Php. 35.00) From Magallanes, ride a tricycle to Brgy Ramirez (Php. 30 pesos/person). 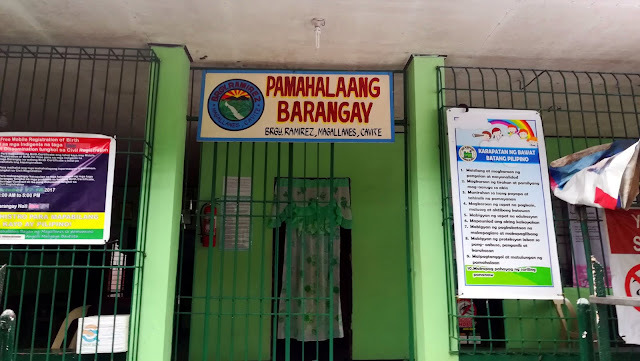 Register at the barangay hall. Note: Jeepneys are available from as early as 6:00 AM at Naic but be aware that they will not go until the jeep is full. Tricycles are available to bring you directly to Brgy. Ramirez for a hefty fare of Php. 500.00. Last trip of jeepneys going back to Naic leaves at 4:00 PM. Hi sir! Sorry di po ako familiar sa Mt. Dos Picos :P. Based lang po sa directions ng guide ko yan hehehe. Noted po. Thanks for the input Sir Jordan! I think hindi po sya Dos picos. halos magkalapit lang po ang mt. pico de loro base camp 1 sa Dos picos..hindi ako magaling sa mapping system. pero sigurado po ako na hindi yan yung Dos picos. Hi Sir, ask lang from Brgy. Ramirez back to Naic, anu pwede sakyan? Thank you. Sasakay po kayo ng tricycle from Brgy. Ramirez to Magallanes, then from Magallanes may pila na po ng jeep papuntang Naic. Kung nagahol po kayo sa oras yun mga tricycle po sa Brgy. Ramirez pwede mag special trip hanggang Naic, Php. 500.00 po singil nila. Thanks for the comment! Hi from brgy, ramirez may masasakyan na po kayo papuntang naic. Sakay kayo ng tricyle from brgy. ramirez pahatid kayo sa terminal ng jeep to naic. Hi Sir. Pwede po bang walang guide? Hi Ma'am Joyce! Ang alam ko pwede naman walang guide kung kabisado nyo na yung daan, basta mag register lang sa barangay kasi required ang registration. 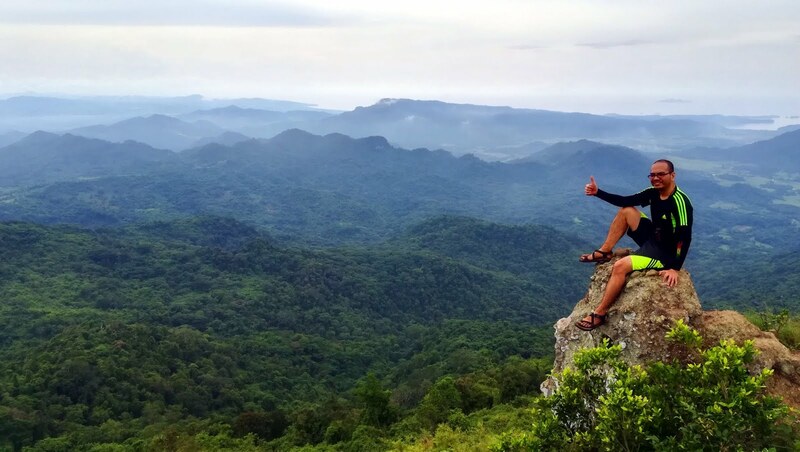 Pero kung first time nyo, I suggest na kumuha kayo ng guide kasi notorious ang trail ng Mt. 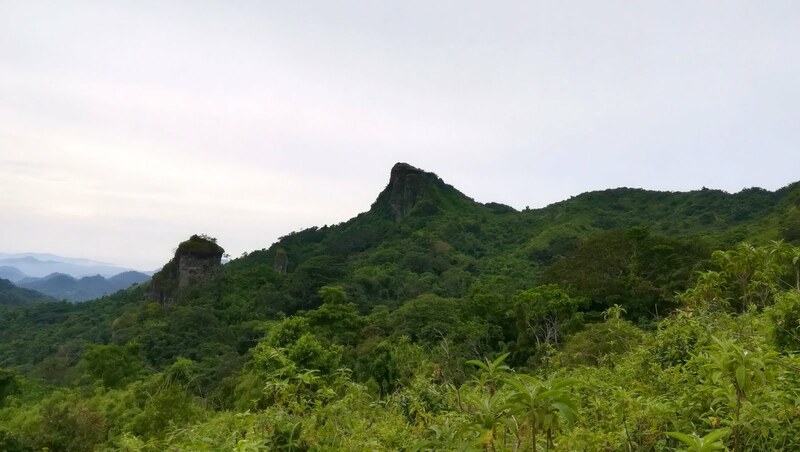 Marami sa mga hikers na naliligaw. Thanks for the comment and enjoy hiking! Hi! Ang pagkakaalam ko wala namang age limit ang Mt. Marami, minor climb lang po yan. Medyo challenging lang yan ngayon kasi tag-ulan na pero kayang kaya! Enjoy hiking and see you on the trails! sir magkano nag babyaran sa maguide samin? Hi! 500 po ang minimum na bayad sa guide. Nung umakyat ako eh nag-iisa lang ako pero 500 pa rin and bayad. Thanks for the comment and enjoy hiking! yung tricycle fare na 500php is from magallanes - ramirez na po ba yun? plan ko rin pong pumunta alone. anong araw po kau pumunta, monday ok kaya? Hi! Yung php.500 na fare po ay for a special trip sa trike from Brgy. Ramirez pabalik ng Naic. Yun Magallanes to Ramirez na trike ay 30 pesos po ang pamasahe. Kung gusto nyo po masolo ang summit at falls, mas maganda po weekday kayo pumunta. Have a safe trip and enjoy hiking! Parang ang layo po ng camps sa summit. Hindi po ba kaya mag camp malapit sa summet? As in within a few steps away lang? Hi! 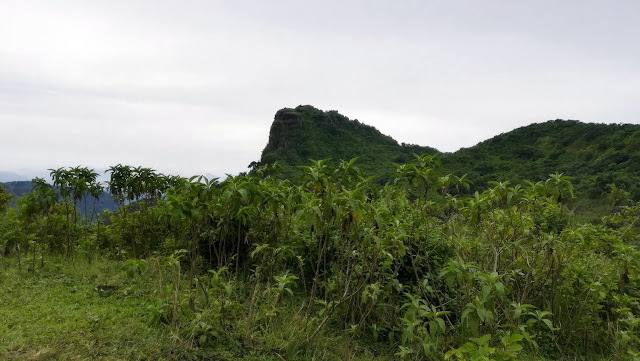 Pinakamalapit na po yung campsite 2, kasi wala nang malawak na flat area na mas malapit saka masukal na po yung area malapit sa summit. Paalam po kayo sa guide kung pwede kayo mag clear ng area for camping pero recommended na po sa campsite na lang, anyway less then 30 mins away na lang po campsite 2 sa summit. Thanks for the comment and enjoy hiking! tama po ba yung na sa IT nyo na yung Campsite 1 and Campsite 2 are just 25 minutes hike apart? may nabasa lang kasi ako na ibang blog na it's an hour part. Hi! Yes po yan po ang actual itinerary ko based sa mga timestamps ng pics ko along the hike. 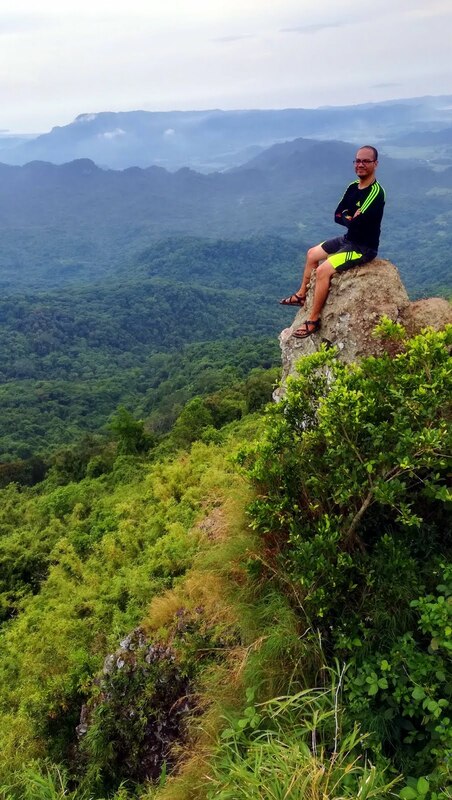 Medyo mabilis po ang pace ko when hiking kasi solo po ako ng mag hike sa Mt. Marami kaya walang intayan and madalang po ako mag rest. Depende na po sa pace nyo, but I can say very manageable na makuha yan less than an hour. Thanks for the comment and see you on the trails! BTW if you were referring po sa IT ng Pinoy Mountaineer, note po na 2007 pa po yung article, mas established na po ang trail ng Mt. Marami so easier na yung papunta sa campsites and summit. 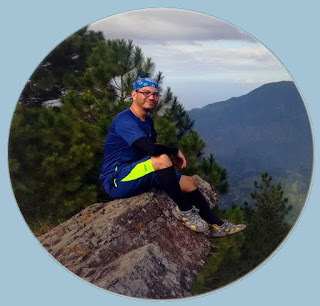 Also, sa IT ng Pinoy Mountaineer, it took 7 hours to summit Mt. Marami compared po sa hike ko na 3.5 hrs lang, kasi mas established na po ang trail. Thanks! Not sure po, mas maigi kung makikipag coordinate kayo sa guide at sa brgy. ramirez to be sure. Pwede nyo po i-text yung number ng guide ko dati jan sa Mt. Marami. Thanks for the comment and see you on the trails!